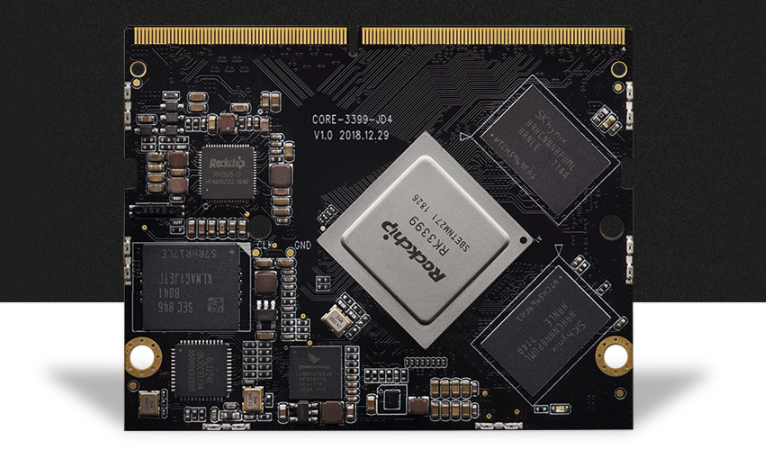 Core-3399-JD4 adapts Rockchip high-performance six-core 64-bit processor RK3399, on-board AI neural network processor NPU SPR2801S, with high computing capacity, ultra-high performance, powerful hardware decoding ability and rich extended interfaces. It can be flexibly applied to cluster server, computer vision, commercial display equipment, etc. Access Firefly Websiteto know more about Core-3399-JD4 core board.